This year we’re focused on being able to stock more products that we feel our customers will love. We’ve been lucky enough to expand and acquire the space needed to store some of the most interesting, on-trend products in the industry. This month we’re rolling out the carpet for three new must-have items that can help your business stand out among the competition. 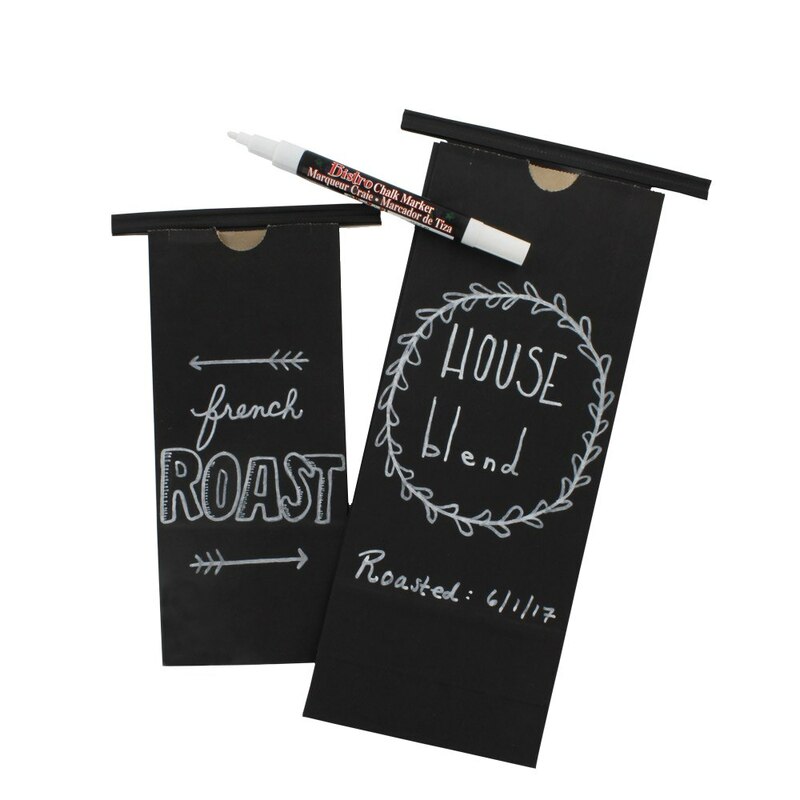 These coffee bags combine the aesthetic of the popular and crafty chalkboard craze with the reliability of a poly-lined tin tie bag. 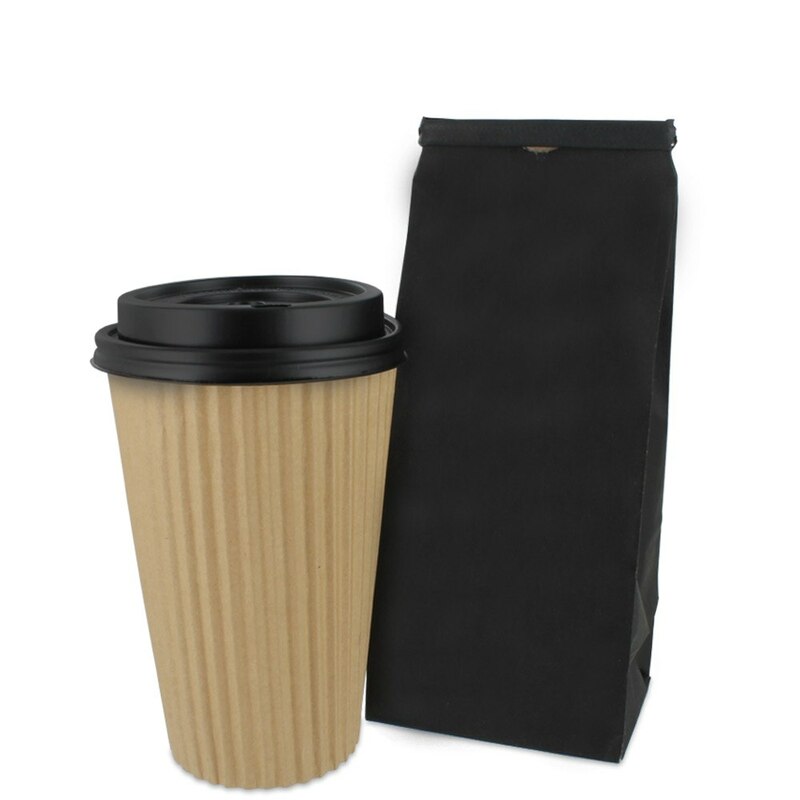 They’re an excellent item for coffee shops, bakeries, and farmers markets. The best part? You can use a chalk marker to decorate the bags in a way that reflects your brand. Or simply mark an item or a date on the bag. But they’re not just for looks. With these re-closable tin tie bags you get the same high bar quality that you’re used to getting with MrTakeOutBags. Meet the new MrTakeOutBags exclusive! 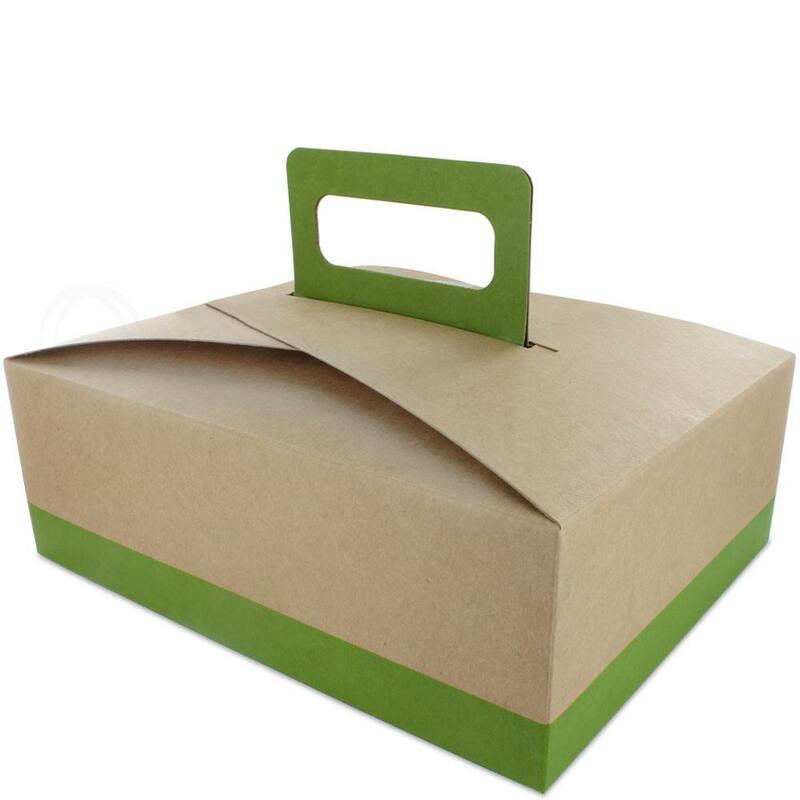 Stackable handled lunch and cupcake boxes are considered an industry gem and caterers, bakers, and event coordinators love them. The boxes ship and store flat in order to save space. Once in use, the handles bend over, allowing you to stack multiple boxes. This makes transporting and setting up meals so easy. If you want both form and function, this particular design can only be found here. Fresh citrus green plays off the natural kraft brown box to create a look that is eco-friendly and stylish. 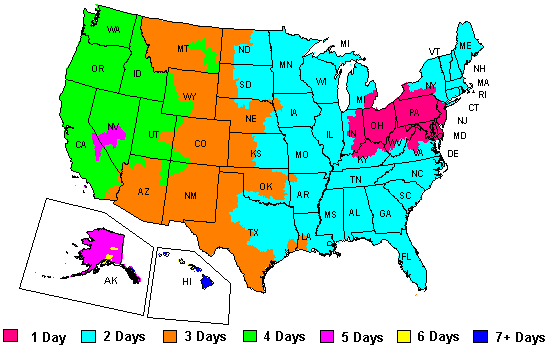 With the ever-growing popularity of food delivery services (think Uber Eats and Postmates) comes a demand for food to arrive securely. The new Seal 2 Go bags do just that. 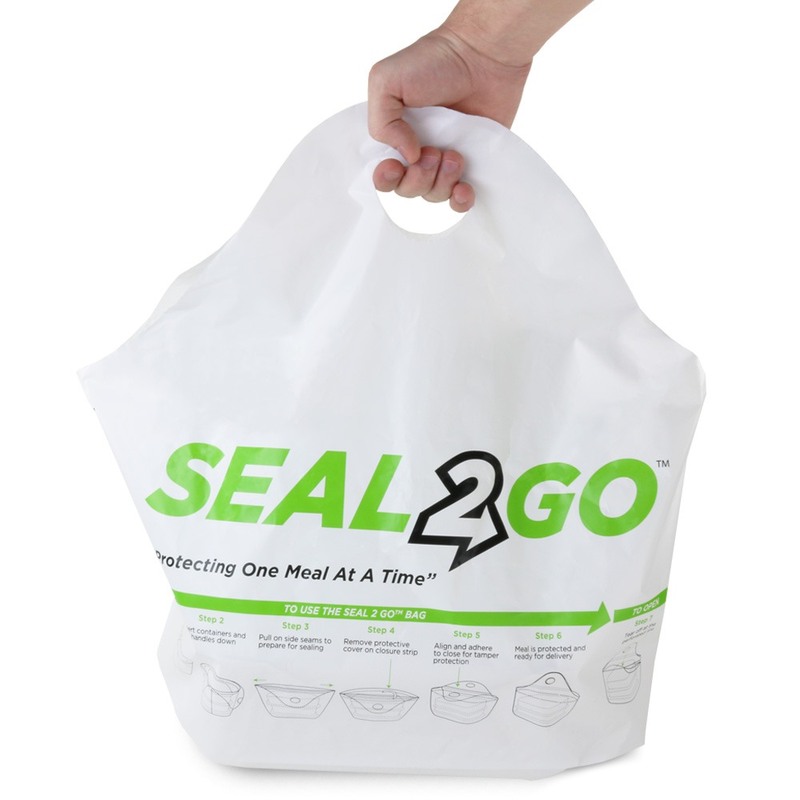 A sealable, tamper-proof carryout bag is a safe way and effective to ensure that your customers’ food arrives to their doorstep without any unwanted fingers swiping a taste along the way. This bag is a brand new addition to the market and was made to help keep customer, business owners, and delivery drivers happy. Watch the video to see exactly how it works!